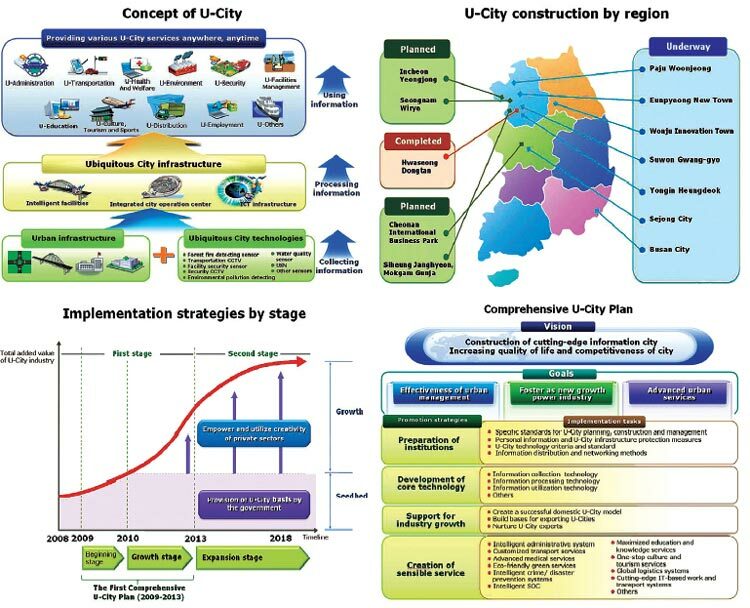 The article “U-City: Future of urban planning, management”, published in the Korea Herald newspaper looks into the current status of Korea’s “Ubiquitous City” (U-City) initiative and tries to identify its vision, goals, strategies and other crucial factors that policymakers should take into account for the future of cities. Kim Jung-Hoon, a research fellow of the National Infrastructure & GIS Research Division at the Korea Research Institute for Human Settlements, mentions that there are an increasing number of local entities which are embracing the “Ubiquitous City” (U-City) as a core concept in their new residential development plans and citywide informatization projects. 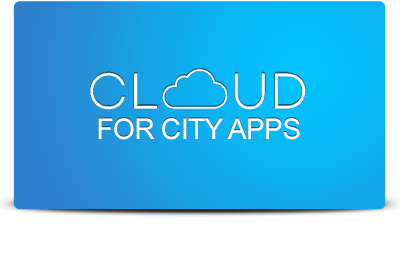 U-City is aimed at boosting urban competitiveness with digital and high-tech systems, making city management more efficient and enabling citizens to access necessary information anywhere, anytime. According to the author, the prospects for Korea’s U-City industry look very bright. The country ranks fifth in the share of the global construction market and second in the ICT Development Index. Korea has a strong potential to lead the global market by taking advantage of its strength in both fields. It is time that the nation focused on enhancing its U-City capabilities including early localization of core technologies such as integrated platforms and mapping out comprehensive measures to support the industry. Effectiveness of urban management: The plan aims to establish high-tech urban spaces and intelligent city management systems by integrating U-City technologies into urban infrastructure facilities. Foster as new growth power industry: The U-City industry will be promoted as a new growth engine to enhance national competitiveness and create jobs. Advanced urban services: The plan also looks to improve the quality of life through U-City-based urban services including finely customized services for residents. To achieve these goals, the government has established four implementation strategies -each with a detailed list of tasks. The strategies relate to preparation of institutions, development of core technology, support for industry growth and creation of sensible service. Preparation of institutions: The government seeks to promptly consolidate a comprehensive institutional basis for the industry regarding planning, construction and management. Development of core technology: The government seeks to provide R&D supports early to localize and foster core source technologies. Support for industry growth: The government seeks to generate new jobs and boost national competitiveness by supporting and promoting the U-City industry. Creation of sensible service: The government seeks to improve living conditions through practical services.